What is a VoIP VPN, and Why Do You Need One? The advent of VoIP, or Voice over Internet Protocol, has not only made our lives easier but also more affordable. With the technology enabling users to get a phone service over the Internet, those days of costly and unclear telephone calls are long gone. When it first emerged on the scene in the mid 1990’s, difficulties were faced in making and receiving calls. However, now that VoIP has advanced, it’s considerably easier to enjoy crystal clear calls with your friends, family, and colleagues. There are many popular VoIP services available nowadays, including Skype, Viber, Google Hangouts, and Vonage. But since VoIP is blocked or restricted in some countries in Asia and the Middle East, you’ll need to change your virtual location to gain access to these services. That’s exactly where a VoIP VPN can prove useful, because it lets you change your IP address to any country you want. Moreover, you also need it to prevent the eavesdropping concerns that come with using VoIP services. What is a VoIP VPN? To put it simply, a VoIP VPN will create a secure, encrypted tunnel over the Internet through which all your VoIP traffic will pass through. As a result, you’ll be able to get around firewall restrictions and securely make calls. Moreover, it also hides your real IP address by assigning you a new one based on the VPN server you choose. This makes you anonymous online and allows you to access VoIP services even if they are blocked in your region. Where Are VoIP Services Blocked? Keep in mind that not all the countries on this list have blocked VoIP continuously. While some indeed do, others block VoIP services only for a specific time period, usually during times of mass protest or political dissent. Indeed VoIP services allow you to make free international calls to other people using the same service, but you have to pay when calling out to landline or mobile numbers. These call rates can get a little pricey, depending on the location you’re calling from. For instance, if you’re in the UK, a Skype subscription with 400 mobile and landline minutes is going to cost you as much as £6.00 per month. However, if you connect to a VPN server in the US, you’ll be able to avail a cheaper deal – unlimited mobile and landline minutes at just $2.99 per month. By using a VPN for VoIP, you can compare the prices of a VoIP provider through different countries so you can purchase from the cheapest location. 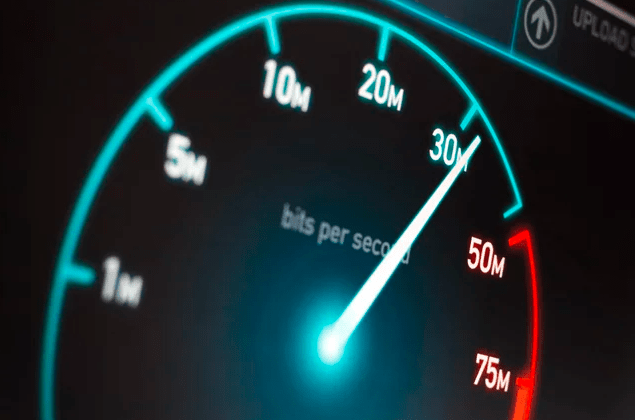 If you regularly make VoIP calls which last for multiple hours, there’s a good chance that your Internet Service Provider (ISP) may throttle your bandwidth because you’ve used too much data. If that occurs, you will notice a significant reduction in voice quality. Your ISP will claim they do that to “manage network traffic” or “reduce bandwidth congestion”, but it’s usually an attempt into convincing you to upgrade to a costlier data plan. With a voice over IP VPN preventing your ISP from seeing your traffic though, you can avert throttling as a whole. Did you know that your VoIP calls can be intercepted and spied on by anyone with the right know how and equipment? Even though VoIP services like Skype claim to be encrypted, there have been instances in the past of hackers exploiting flaws to eavesdrop on users. Moreover, your VoIP traffic can also be monitored by ISPs, and the same can be said about restrictive governments. If you want to keep your VoIP conversations truly private, using a VPN for VoIP is your best bet as it will secure your entire Internet connection with military-grade encryption. The affordability and privacy (to a certain degree) of VoIP has not only made these services extremely popular around the world, but also led to some countries blocking them altogether. In certain countries, telcos push governments to block VoIP use so they can grow and protect their profits. 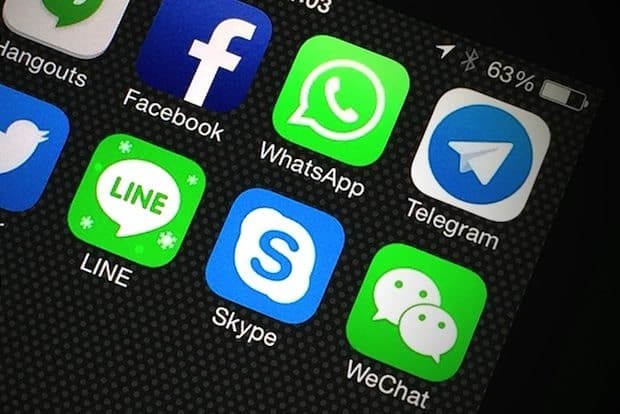 In others, governments restrict access to VoIP services because they can be used to get around censorship laws or exchange politically confidential information. A voice over IP VPN will help you bypass these roadblocks, giving you freedom to use the VoIP services you want with peace of mind. How to Unblock Online Gaming Voice Chat with a VPN for VoIP? Online gaming continues to grow, with a number of games like League of Legends, Battlefield, Call of Duty, and Counter-Strike ruling the hearts of many gamers. What’s common about these games is that they’re heavily team-oriented and support voice chat with teammates. However, some governments even block in-game voice chat, ruining your overall gaming experience! By equipping yourself with a VoIP VPN, you can easily get around these blocks and communicate with your teammates in online games using voice chat. Simply choose a VPN server that’s located close to you and in a country where VoIP isn’t restricted or blocked. Then, go ahead and start the game you want to play while you’re connected – the team voice chat feature will now be unblocked! How to Make Free Calls Using a VoIP VPN? There are a lot of questions circulating on the Internet with regards to free VoIP calls using a Voice over IP VPN. Since the only form of revenue for most VoIP services is selling credits to call actual mobile and landline numbers, making free calls with a VoIP VPN aren’t possible. That said, you can most definitely get cheaper calling rates with the help of a VPN for VoIP. Refer to the example discussed above (that is, if you haven’t already) to learn how to get the best possible rates on your favorite VoIP services! As with any other service provider, the traffic routed through your VPN service can also be logged. If a third party demands access to your data, your privacy could very well be exposed to strangers. Therefore, you should opt for a VPN with a strict anti-logging policy – if they are no logs, they can’t be shared! These days, VoIP services can be used on both desktops and mobile devices. So, if you want to use a VPN while using VoIP, you have to run the VPN software/application on the same device through which you’re making your call. Luckily, most good VPN providers will offer easy-to-use clients for a wide variety of devices. A VPN will usually slower down your Internet connection to some degree due to the encryption process that takes place. However, the best VPNs have workarounds for this, so they can deliver the fastest speeds without compromising on your online security. This is a very important factor to ensure excellent call quality. If your VPN provider is located in a country with stringent logging regulations, they will have no other option but to keep records of your online activity and hand them over when a law enforcement agency requests access. To avoid this breach of privacy, always choose VPNs registered in countries with pro-privacy laws. Lag can make or break your VoIP experience and there are a number of factors that contribute towards it, such as the distance between you and the remote server you’re connected to. If a VPN service has a widely distributed server network, you’ll be able to pick a server that’s closer to you to cut lag down as much as possible. The best VPN services come with an array of top-notch features (besides encryption) to enhance your privacy, security and anonymity on the Internet. For example, Internet Kill Switch is a must-have because it will automatically discontinue your VoIP traffic in the unforeseen event of a VPN connection drop. PureVPN – The Best VPN for VoIP! If you’re looking for the best VPN for VoIP, then look no further than PureVPN. Not only do we follow a strict no-logs policy, but also we offer proprietary apps and software for all major platforms. Moreover, as we’re headquartered in Hong-Kong, there are no mandatory data retention laws that we have to adhere to. Our 2,000+ VPN servers are self-optimized to provide you with lag-free VoIP calls, regardless of your location. We also offer a suite of features that take your VoIP experience to a whole new level, some of which include the revolutionary Ozone and Gravity, as well as Internet Kill Switch, WebRTC Leak Protection, among others. How to Use a VoIP VPN? Get a PureVPN subscription that best suits your needs. Download the PureVPN app or software. Connect to a server location of your choice before making your call. PureVPN will not only conceal your IP address but also secure all your VoIP traffic with end-to-end AES 256-bit encryption so you can use VoIP services from anywhere, even countries where they have been restricted or blocked! Getting a reliable VoIP VPN like PureVPN is essential if you want to conveniently access and use VoIP services without getting on anyone’s radar. Not only does it enhance the security and privacy of your voice calls, but also improves your call quality, and even enables you to get the best call rates. If you have any questions, feel free to use the comments section below and we’d be more than happy to get back to you.